Nowadays, assigning a monetary value to a forklift, especially a used one proves to be a difficult task. As a seller, you will want to make some small profit out of the initial investment you make, at the same time keep potential buyers without scaring them off with an overpriced value. As a buyer of a used forklift for sale, you will not want to overpay or overvalue a forklift that needs additional parts, maintenance or other expenses. Keep in mind that pricing is subjective and it all depends on various factors. As you determine the value of a used forklift, you should note down all the necessary information you should know about it to see where you can make price deductions and where the price could increase due to recent part replacement or special features. When it comes to the price, the age of the forklift is one the major determining factors. This is because the machine prices (such as car values) depreciate at an exponential rate from the price of the sticker when they are brand new. At such times, you can look up a newer model of your forklift machine and deduct the price right from there. Often, on average, a forklift depreciates about 15% annually. You can use this information as your base price, even before you start deducting or adding value based on various other factors. In the same year, you can have the same, exact forklift, but both will have different values because one’s treatment and usage history will be a lot better when you compare it to the other. As an example, you could have a 2007 forklift, which was running for about 20 hours in a day carrying heavy concrete in freezing temperatures as well as an identical model working for just 7-8 hours in a day lifting some lighter loads in e-commerce warehouses, and the other will have a higher value compared to the first. The usage of forklifts all depends on the logged in hours, and the way that you compare the hours of the forklift machine’s value is similar to the way you compare the mileage on the cars. The key hours count the number of hours that a forklift operates, but dead man-hours, which is often a more accurate measure count, the number of hours that a forklift actually operates to transport or lift materials. Know that extra features of a forklift always add more value to it. For example, if your forklift came with a computerized control panel rather than a manual one, this adds more value. The other features that add extra value are the scales that weigh the load automatically as well as in transit, air-conditioned cabs, and attachments add more value. Essentially, anything that does not come with the standard model adds extra value. To calculate the exact value of any of the added features, you can always contact us at Moffett Truck. 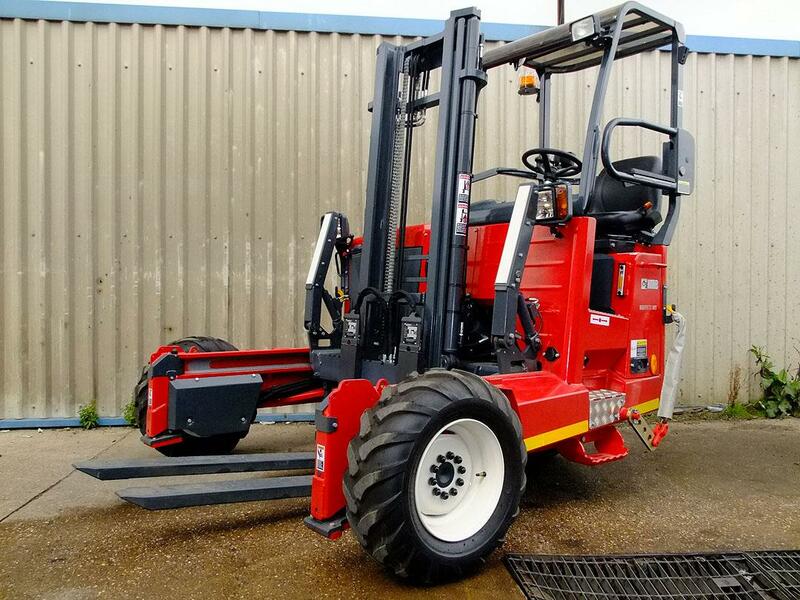 We can offer you the best value for your forklift, and ensure that it meets your warehouse needs.